If you drink cow’s milk, you’re a racist “white supremacist” who hates “minorities,” according to a radical domestic terrorist group known as People for the Ethical Treatment of Animals, or PETA. 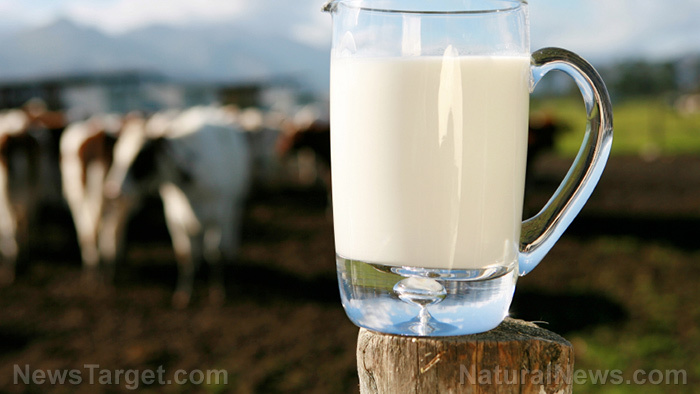 As crazy as it sounds, PETA is dead serious in its claims that cow’s milk is a symbol of “whiteness,” and that white supremacists everywhere are “chugging milk” in celebration of their perceived “superiority” over other races. And just why did America’s apparent hordes of pointy white hat-wearing Klan members – because they’re hiding under every rock, in case you didn’t know – choose milk as the symbol of their supremacy, according to PETA? Because white people, the organization claims, are less likely to be lactose intolerant. Despite the inconvenient fact that millions of Americans with white skin are unable to stomach super-heated, “dead” cow’s milk, PETA is convinced that because cow’s milk is white, it must be akin to a burning cross in front of a black place of worship. “In a recent article in The New York Times, evolutionary biologists state that because of a genetic mutation among Europeans, white people are more likely to be able to digest lactose,” reads an article published by PETA that, for whatever reason, seems to regard the racist NYT as a credible news source. “White nationalists are arguing that being able to drink another animal’s breast milk somehow indicates that they’re of the ‘master race’ – good grief!” the article adds. Interestingly enough, PETA’s official website is filled with white imagery that’s also suggestive of racism, white supremacy, and even Naziism and hatred for Jews. The PETA website banner that states “Animals Are Not Ours” has a white background, for instance, as does the lower portion of the site where the article is published. Using the same “logic” as PETA in likening milk consumption to the Ku Klux Klan, the many swaths of white placed throughout the PETA website suggest that PETA itself is a white supremacist organization that worships Adolph Hitler and wants to see all Jewish people eradicated from the face of the globe. It’s just one more reason why you shouldn’t support PETA or go vegan: because you don’t want to be a Nazi, do you? Such a notion is completely absurd, of course. But it’s what PETA is now advocating as part of its identity politics crusade against white people, and really anyone who would dare to consume an animal product in violation of the Church of PETA’s doctrines of veganism. “PETA’s bizarre association of milk with white supremacy shows there are no limits to the lengths it will go to obnoxiously push its vegan agenda,” is how Will Coggin, research director at PETAKillsAnimals.com, put it in a statement to The Daily Caller. For more insane leftist news, be sure to check out the content at Libtards.news. You can also follow more news about how leftists are actively promoting a racist, anti-white agenda by visiting RaceWar.news. Tagged Under: Tags: anti-white, badfood, cult, dairy, insanity, KKK, left cult, Libtard, Lunacy, milk, People for the Ethical Treatment of Animals, PETA, race wars, race-baiting, racism, Racists, religion, stupid, The New York Times, veganism, white hate, White Supremacy?